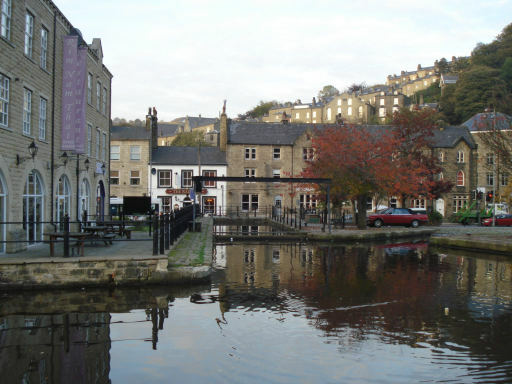 Entering Hebden Bridge, with the park alongside the canal. 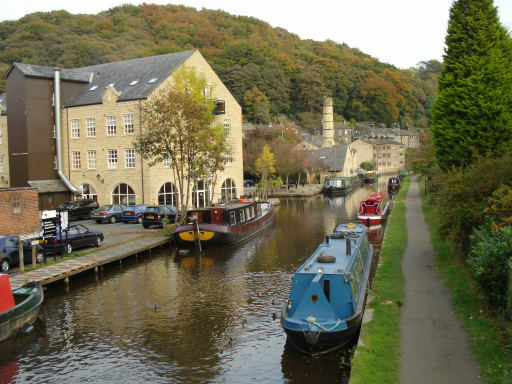 Stone buildings cling to the steep hillsides of Hebden Bridge. 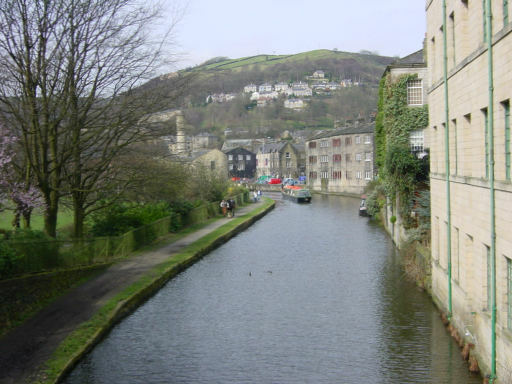 Looking eastwards at Hebden Bridge, with the park on the right. 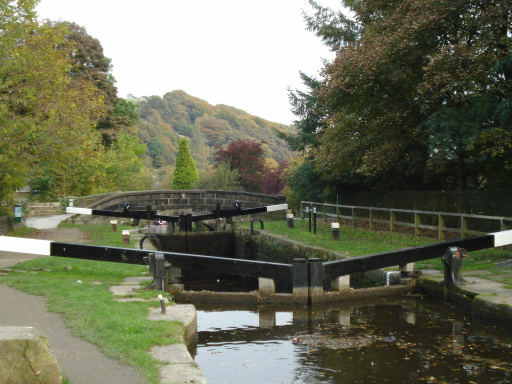 Alongside the park in Hebden Bridge is Lock 9, Blackpit Lock, with the aqueduct over Hebden Water beyond. 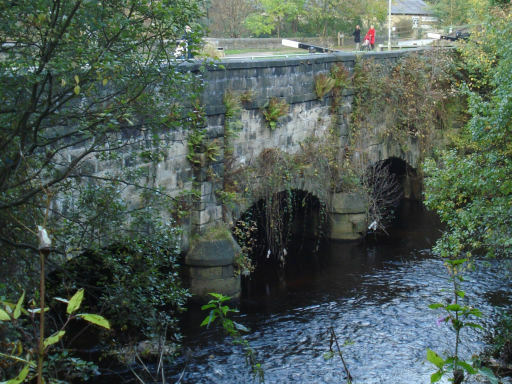 Hebble End Aqueduct and Blackpit Lock, Hebden Bridge. 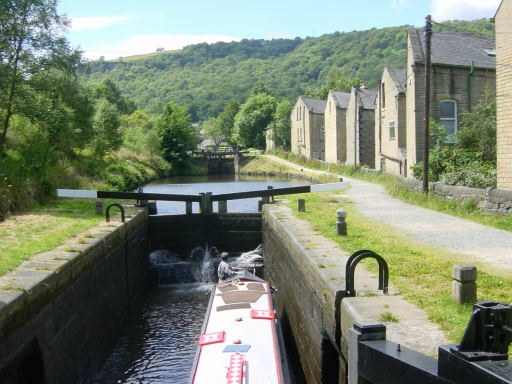 Lock 9, Blackpit Lock, Hebden Bridge. 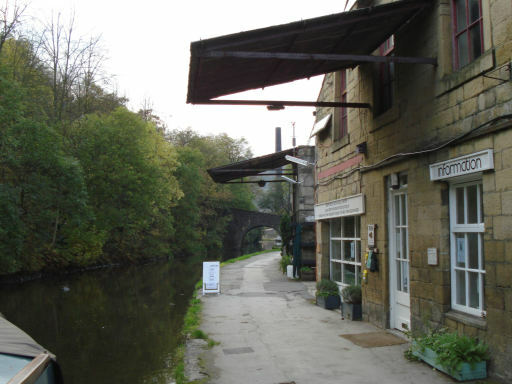 Looking towards Hebble End Bridge, with the Alternative Technology Centre alongside the towpath. 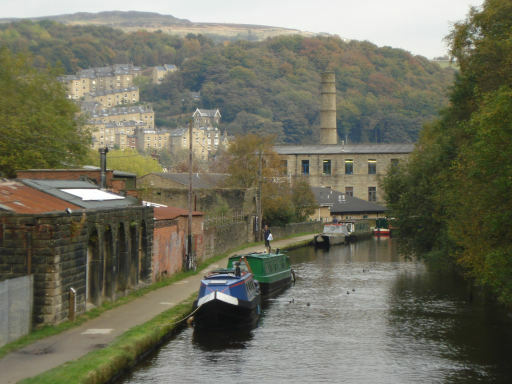 Looking back towards Hebden Bridge from Stubbing Lower Lock. This picture shows some of the four-storey terraces of houses on the steep hillsides. 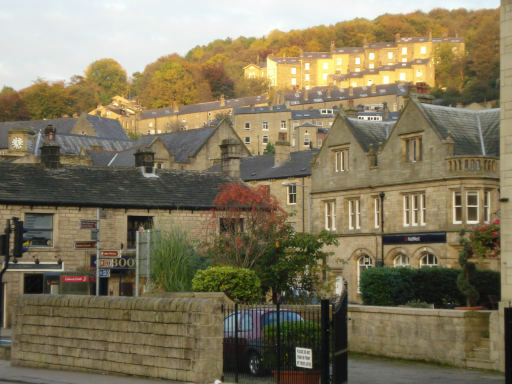 These are known as "top and bottom houses" with the top two floors being separate houses, with access from the streets behind, higher up the hillside. 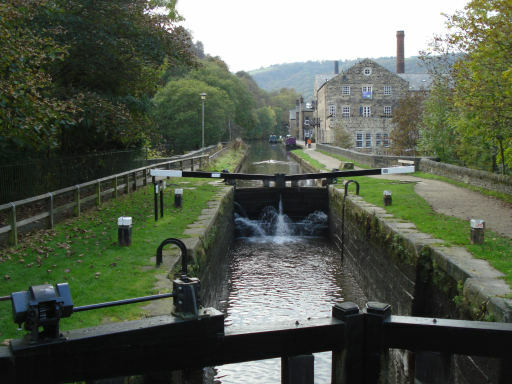 The canal climbs out of Hebden Bridge through two more locks. Looking westwards at Lock 10, Stubbing Lower Lock.